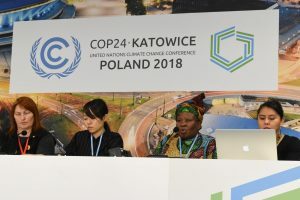 Katowice, Poland – NEWS ADVISORY – Nuclear power makes climate change worse, and must not be promoted under the Paris global climate treaty, environmental and climate justice leaders with the Don’t Nuke the Climate Coalition said Wednesday, 12 December. COP24 has seen a marked escalation in the promotion of nuclear power by countries and corporate interests that are resisting urgent action on climate. 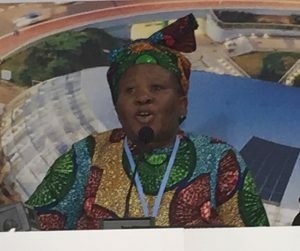 Climate and environmental justice leaders from Africa, Asia, and North America called on climate negotiators to refuse calls for nuclear power and false solutions to climate change, which violate the climate justice and environmental integrity principles in the Paris Climate Treaty. Parties must focus instead on a rapid transition to a carbon-free, nuclear-free world, powered entirely by sustainable, renewable energy sources. Unlike renewable energy sources, such as wind and solar, nuclear power generation entails major, longlasting environmental impacts and damage to natural resources. The mining, processing, and enrichment of uranium for reactor fuel produces immense amounts of radioactive waste, and has an extensive track record of contaminating land, air, and drinking water–disproportionately affecting indigenous peoples and developing nations. The cooling systems of nuclear reactors place stress on drinking water sources and ecosystems, consuming more than a billion gallons of water per day, and discharging hot water and radioactive effluents. Reactors produce numerous streams of radioactive waste, including irradiated (“spent”) nuclear fuel, which is lethally radioactive for hundreds of years and environmentally hazardous for up to a million years. 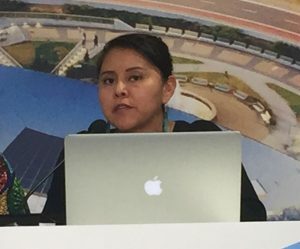 Indigenous nations and communities of color are most often targeted for radioactive waste dumps. The consequences of nuclear disasters such as Chernobyl and Fukushima are as overwhelming and long-lasting as the impacts of climate change. Due to rising sea levels, increasing frequency and severity of extreme weather events, and rising water temperatures, the potential for nuclear disasters is increasing along with other risks of climate change. Reducing the chances of compounding catastrophic events should be viewed as a climate adaptation measure. “Nuclear power cannot be a solution for climate change. 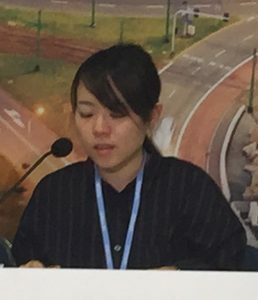 Japan experienced one of the severest nuclear catastrophe in history and it is still an ongoing crisis,” said Ayumi Fukakusa, Campaigner with Friends of the Earth-Japan. “Humans cannot afford any more nuclear disasters and fail to solve nuclear waste issues. People affected by Fukushima nuclear disaster are facing losses of livelihood and hometown, as well as poverty and isolation,” continued Fukakusa. “You can never be prepared for nuclear disaster and life after the evacuation is beyond imagination. We can never rely on such dangerous technology. The cost of nuclear power is enormous, and we have much better options to cope with climate crisis,” she concluded. Despite the immense expense, timeframes, and compounding environmental impacts, nuclear interests are promoting nuclear power as though it is a necessary solution to global warming. This is a major mistake, according to a report released at COP24 on Friday, “Nuclear Power and Climate Action: An Assessment for the Future” (download here: http://www.rosalux-nyc.org/nuclear-power-and-climate-action/). The report was written by Don’t Nuke the Climate Coalition member, Nuclear Information and Resource Service, and published by the Rosa Luxemburg Stiftung-New York City. From real and practical evidence, the report concludes that nuclear power is not a viable tool in the climate solutions toolbox, and that nuclear-free paths to phasing out greenhouse gas emissions are necessary, feasible, and cost-effective. Article 4.13: Parties shall account for their nationally determined contributions. In accounting for anthropogenic emissions and removals corresponding to their nationally determined contributions, Parties shall promote environmental integrity, transparency, accuracy, completeness, comparability and consistency, and ensure the avoidance of double counting, in accordance with guidance adopted by the Conference of the Parties serving as the meeting of the Parties to this Agreement. Article 6.1: Parties recognize that some Parties choose to pursue voluntary cooperation in the implementation of their nationally determined contributions to allow for higher ambition in their mitigation and adaptation actions and to promote sustainable development and environmental integrity. Article 6.2: Parties shall, where engaging on a voluntary basis in cooperative approaches that involve the use of internationally transferred mitigation outcomes towards nationally determined contributions, promote sustainable development and ensure environmental integrity and transparency, including in governance, and shall apply robust accounting to ensure, inter alia, the avoidance of double counting, consistent with guidance adopted by the Conference of the Parties serving as the meeting of the Parties to this Agreement. Ayumi Fukakusa – Campaigner, Friends of the Earth-Japan.